Nothing too violent going on just yet, but it’s early, so there’s still hope. India had another characteristically bad night, as the inflation hotbed continues to see its market perform horribly. The SENSEX was down 1.175%. European stocks are falling slightly. 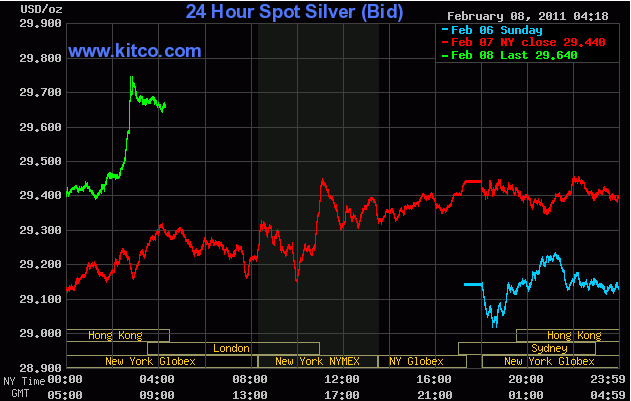 And look what’s creeping back up: the precious metals. 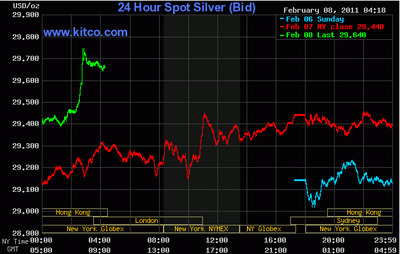 We’re a breath away from $30 silver.